After spotting this “S” on the side of a building on South Pineapple Avenue in the Historical Burns Square area downtown, I did a little research to find out a bit about the artist. Pixel Pancho prefers spray cans and a blank wall to brushes and canvas. He likes robots and painting, so he combines the two. Italy-born and with formal training studying at the Academy of Fine Arts in Valencia, where he received his degree, he is a rising star among street muralists. He’s painted his whimsical robots all over the world, including Paris, Amsterdam, Warsaw, and Istanbul. 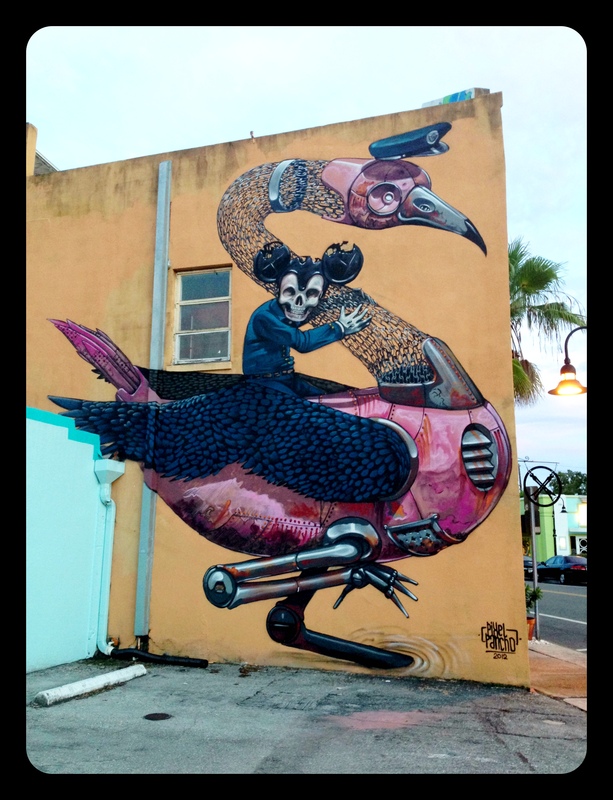 Pixel Pancho created this piece when he was invited to the Sarasota Chalk Festival in 2012. Categories: 52 week photo challenge, Downtown Sarasota, Sarasota | Tags: Amsterdam, art, Burns Court, downtown Sarasota, Henry David Thoreau, Historical Burns Square, Istanbul, Italy, mural, muralist, Paris, Pixel Pancho, quotation, Quote, robots, S curve, Sarasota Chalk Festival, South Pineapple Ave, spray cans, street art, Valencia, Warsaw | Permalink.